The Zebra P430i has been discontinued. No direct replacement is available. The Zebra P430i delivers reliability and performance for high-volume card production. 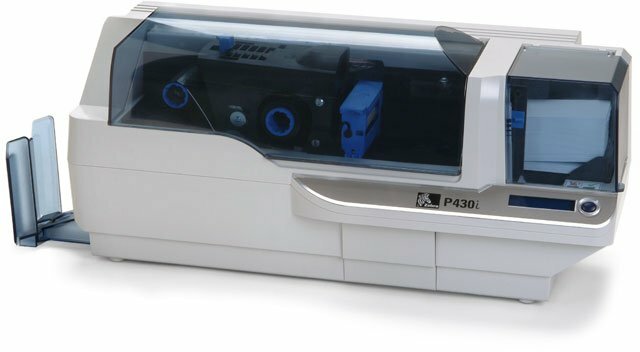 The P430i is part of the latest generation of Zebra's most popular card printer family. The expansion options for networking and card encoding give the P430i the flexibility to meet your specific requirements. Affordable and easy-to-use, the Zebra P430i is the new leader in double-sided performance card printers. Double-sided Card Printer with USB, 2 year printer warranty, 1 year loaner coverage, Ask about Extended Warranty options for this printer. Double-sided color printer with USB & Ethernet connectivity + magnetic encoder. 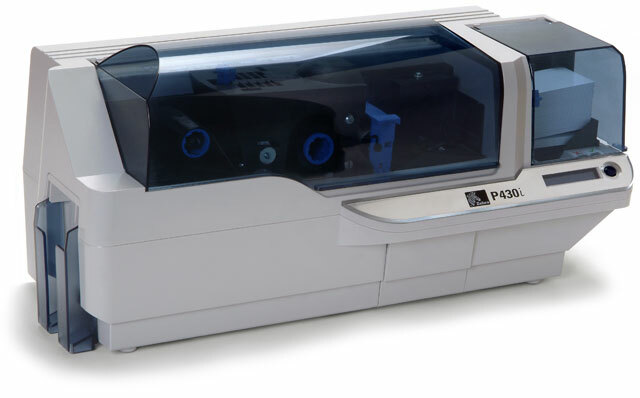 This is the TAA compliant version of printer (Part# P430i-0M10C-ID0) for government purchasers. Please call for more information. Double-sided color printer with USB + magnetic encoder. This is the TAA compliant version of printer (Part# P430i-0M10A-ID0) for government purchasers. Please call for more information. We bought this printer so we could customize membership cards for a program that we run. We needed a printer which could do batches of cards and also print on both sides. The Zebra P430i fits this bill. It holds a good number of cards to serve our purposes and can batch them one after another. The network version was relatively simple to set up and once it was it was accessible from anywhere on our network. It takes about 35-45 seconds a card, and the machine does make mechanical sounds through this entire process. In an office environment this probably wouldn't be a big deal, but if it were run in a dead-quiet room it might become bothersome.